A few months ago I was still suffering from dandruff. Nothing major, as my Dr Organic Rose Otto shampoo had done a good job of soothing my scalp. But enough to bother me. 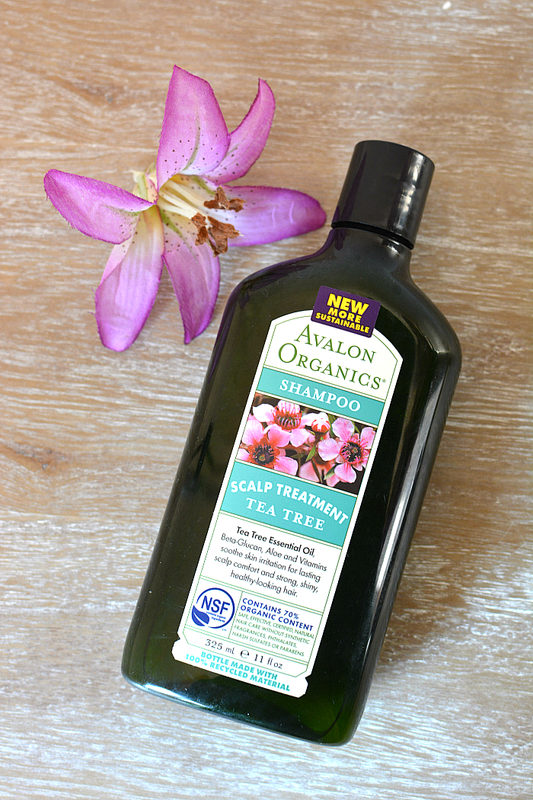 Enter this natural tea tree shampoo. It only took a few washes to rid my hair of dandruff completely. I now use it once a week, alternating with my rose otto one because I still love that. 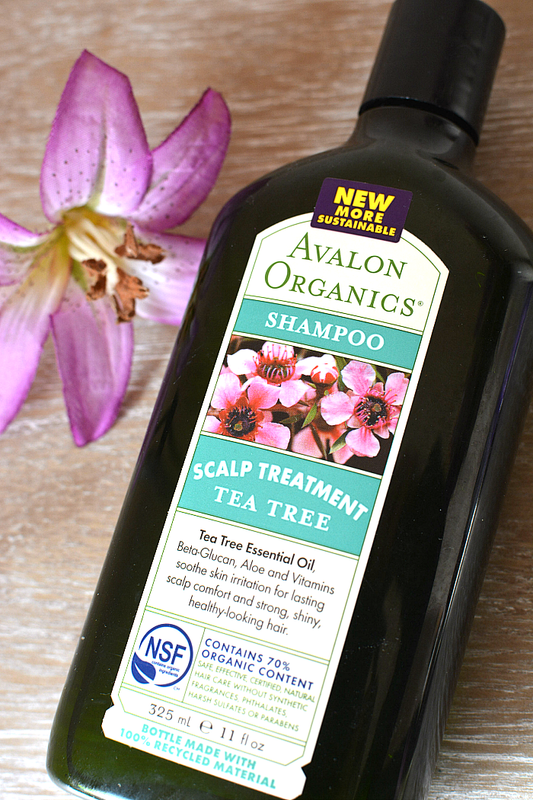 This shampoo has a lovely tea tree smell - not too strong and a little bit of peppermint. Made from a lot of organic ingredients and like all natural shampoos, it is harder to get a lather going. What I like to do is put a dollop in my hand, rub it around with the teensiest bit of water and it gets a nice foam going, which is easier to spread through my long hair. After washing, my hair feels completely clean, without feeling stripped. I've been using this shampoo for three months now and my hair really does look healthier. My dandruff is long gone and hasn't reappeared once. If you want to get rid of dandruff or an itchy scalp, I'd certainly recommend it. Have you tried anything from Avalon Organics? I'm excited to try more from their range!